Thermcouples are neat sensors. Thermocouple wire consists of two conductors composed of specific metals. The wire can be very light weight allowing thermocouples to be placed in places other temperature sensors can't go, like inside of a flower bud or glued to a leaf. They can also be exposed to a wider range of temperatures than other sensors, like those found in a kiln. There are several different types of thermocouples (K, J, T, etc) based on their composition. 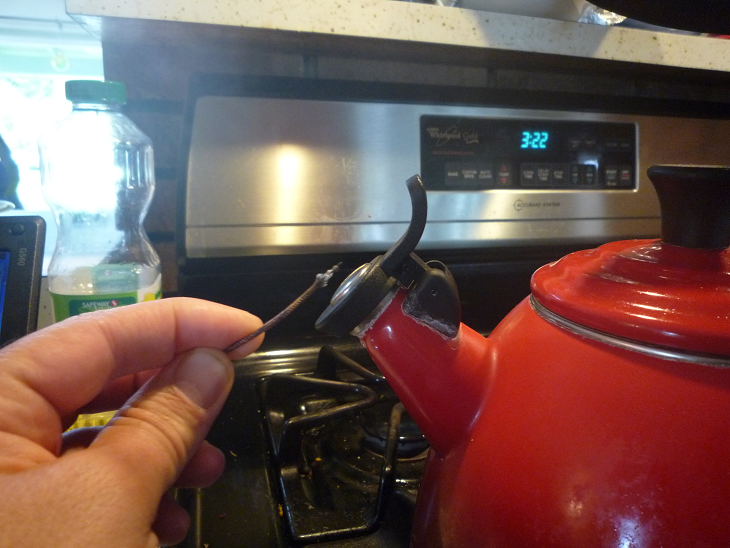 It's easy to make a sensor with thermocouple wire. On one end of the wire, the insulation is stripped and the conductors are made to touch, either by being twisted, welded, or crimped together. The other ends of the conductors are connected to a differential analog channel of a datalogger (like the HE's high-resolution ADC). A voltage difference is created that is proportional to the temperature difference between the connected and open ends of the wire. 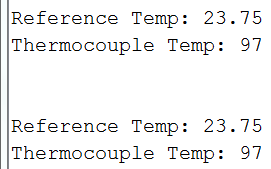 While it's easy to make a thermcouple, it's more difficult to get a temperature reading. The signal is small, like 0.05 mV per degree C so you need a high resolution ADC and/or an amplifier. 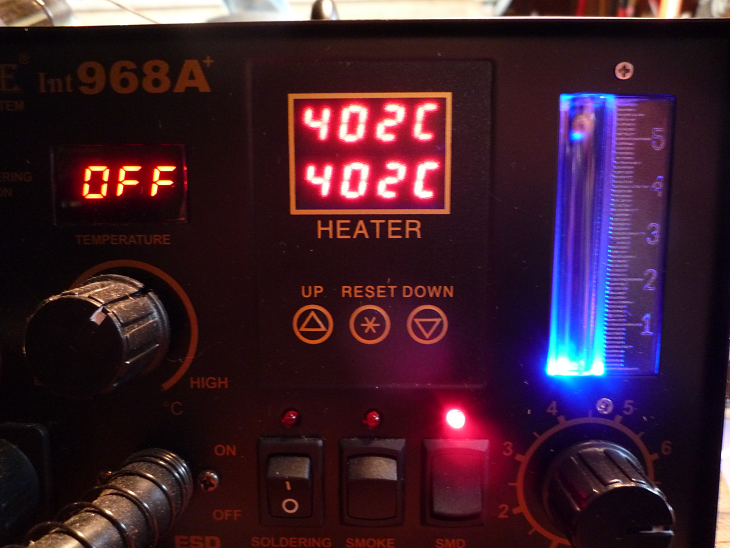 The relationship between voltage and temperature is nonlinear making the conversion complicated. 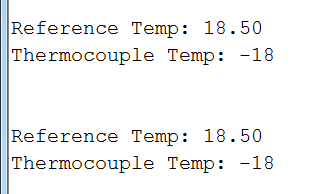 And you need to know the temperature at the open end of the thermocouple (the cold-junction temperature) to calculate the difference at the closed end. 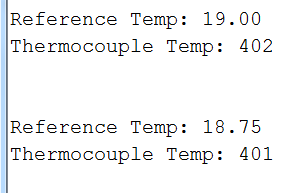 In many datalogging applications I would advocate simply recording the thermcouple voltage and temperature and then doing the conversion to temperature once the data are downloaded. If you were concerned about a temperature gradient between the real-time clock, where the temperature sensor is located, and the ADC, you could even place a digital temperature sensor (like a DS18B20) closer to the high resolution ADC terminals for your cold junction temperature. 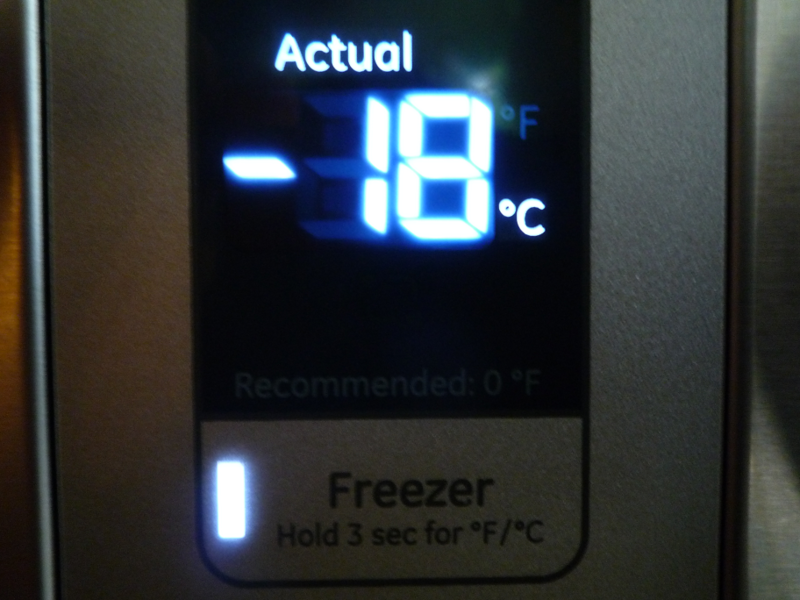 Temperature is returned in degrees C as a int value. The function uses the RTC sensor for the cold junction temperature and a linearized version of the temperature-voltage relationship. It's actually four-linear segments. This makes the math easy enough for the HE 1.0 to handle. 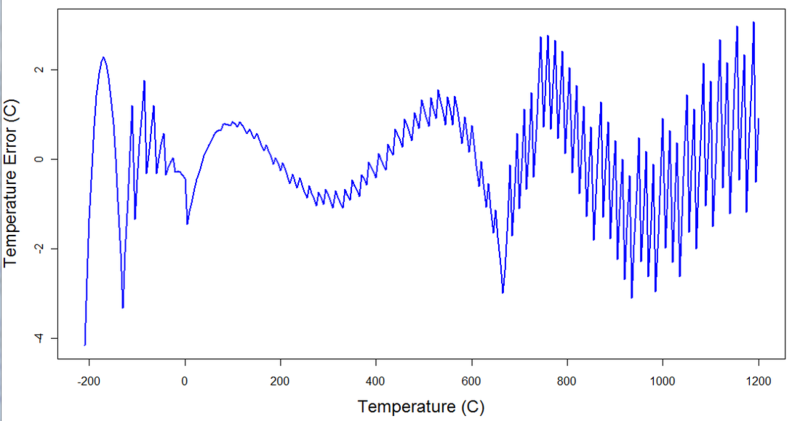 With a few exceptions across the temperature range, the linear functions will produce temperatures within 2 degrees C of the official complex, high-order polynomial function.